Does Garcinia Cambogia Extract really work for weight loss? We've been working on answering this question like crazy and all the research we've collected has brought us back a lot of mixed reviews, so let's analyze the facts. This product has saturated the internet recently making claims that it can help you lose weight without exercising or changing your diet. This new weight loss helper was introduced on the Dr. Oz show in late 2012, but is any of what they claim true? First of all what is Garcinia Cambogia Extract? Well let's get some of the less exciting facts out of the way first. It's a man made capsule (or pill) that contains the extracts of the tropical fruit called garcinia cambogia which is native to Indonesia. This fruit has been around for many years and traditionally used in many recipes including a variety of curries and is commonly used in countries such as India, Thailand, Malaysia and other parts of Asia. It is also known by many other names such as Malabar, tamarind , hydroxycitric acid ( HCA ) amongst a few others. This fruit is roughly the size of an orange and varies in color from green to yellow and sometimes even a reddish color. It is sour in nature and can be used like lemons adding tartness and flavor to many dishes. This fruit helps increase digestive juices and is used to make medicines such as antibacterial and laxatives. They say you can lose about 3 - 4 pounds every month just by taking this pill. That's right, you don't have to change your diet or exercise and you can still lose 3 - 4 pounds every month. 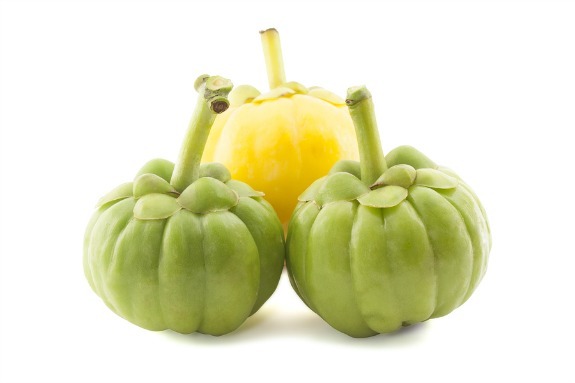 How they claim Garcinia Cambogia Extract works? According to many people presently selling this product they say that studies have proven it to be worthy, but so far we have found no proper clinical evidence elsewhere to support any of its claims to aid in weight loss. We have also noticed that people who have the funds to promote this product have their own choice of doctors and create their own studies to support this product, so this makes things very difficult to know if they are legitimate. Now that's not to say it doesn't work. If some people say it works perhaps it does, but at what health cost? So now let's ask ourselves two more important questions that can help us decide what to do. 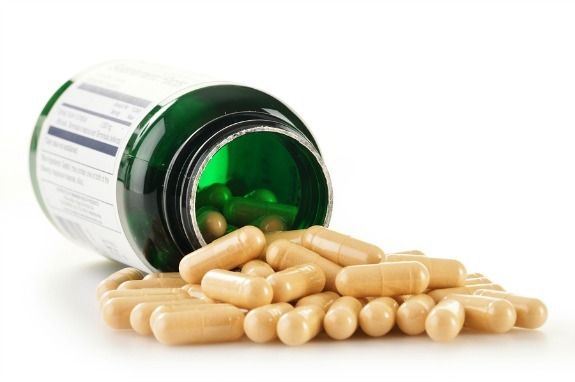 Is Garcinia Cambogia Extract Safe? Starting with adverse reactions one may develop dizziness, headache, nausea, diarrhea and dry mouth. Not recommended for use in women who are pregnant or breastfeeding as there is not enough scientific evidence of the safety of this new pill. Garcinia may lower blood sugars in the body so please take caution if battling diabetes or if you have conditions which require monitoring your blood sugar levels. May cause hepatotoxicity which is chemically derived liver damage but only if you are mixing garcina cambogia extract with other weight loss supplements that can overload the liver or if you are taking too much of the extract itself. Take caution when taking antidepressants that increase serotonin levels as HCA may also increase serotonin levels leading to serotonin toxicity (though not enough cases to be sure yet). Taking HCA with any statin medications (which help control cholesterol levels) such as Lipitor may increase the risk of Rhabdomyolysis (a serious disease which involves the degeneration of the skeletal muscle). Not recommended in patients that have Alzheimer's due to the possibility of producing acetylcholine in the brain. The extract also contains iron so for anyone taking medications with iron in them please take extreme caution. As much as certain medical conditions like anemia require taking iron supplements or medications for improvement too much iron in the body is toxic to the liver. If I stop taking it will I gain all my unwanted weight back? Let's say your health is fairly good, you have read the information above and feel this is definitely worth your time and money to try. As with all medication if you stop taking them they stop working. So the answer to the question above would be yes, unless you have changed your diet and lifestyle to maintain your weight loss without continuing to take HCA. If Garcinia Cambogia Extract does work must I continue to take it forever? Like with most pills, whether they are herbal or prescribed, eventually the body will build a tolerance to them and they will not work as efficiently. The only way to remedy this will be to eventually increase the dose and with Garcinia Cambogia Extract we know this may become too hard on the liver. There is so much mixed information and privately funded studies being done that it is hard to decipher if this new pill is useful or harmful. So whether the studies reveal how safe or unsafe this product really is we do not have enough information right now to be sure of anything until further regulated scientific studies are done. What we do know is that many people are selling this product (even without knowing if it's safe enough) to make a profit. As wide spread and mixed all this information is, we hope it offers you some guidance to help you decide what is best for you. Though whatever you decide to do thank goodness we can always eat more healthy foods such as homemade soups to help with weight loss.